Back in black, but only just, that's the story for March video game revenue according to figures released by retail sales tracker NPD Group. Combined hardware, software, and accessory sales hit $1.52 billion, up 6 percent over March 2009's total. Year-to-date we're still down 7 percent (a roughly $1.3 billion dollar deficit) compared to where we were end of March last year. Rebound or blip-recovery? It's too soon to say, considering all the months of depressing declines--holiday sales notwithstanding--that reach back to February 2009. NPD analyst Anita Frazier said prices were down 16 percent for console hardware, flat for software, but up in all remaining categories. That explains the precipitous 15 percent year-over-year decline in hardware sales revenue, and Frazier notes that unit sales, i.e. the actual number of consoles sold, were only down 5 percent. The other spot of bright news: March 2010 was the third best non-holiday month on record after March and June 2008, according to Frazier. Here's the March 2010 video game hardware sales breakdown, with growth compared to March 2009. Rah-rah Nintendo, it's like pulling a string on a doll each time the sales data comes in (even when they're down in year-over-year figures, they're "up" against anyone else). The DS led as usual and broke 700k for the first time in a non-holiday month since June 2009. Frazier said the Wii had its best non-holiday since March 2009, and the Wii was also the only console to bang out a month-over-month sales increase from February 2010. Continuing to play catch-up in year-over-year figures, the PS3 took top growth honors, up 44 percent over March 2009, though still lagging Microsoft's Xbox 360 and facing a roughly 10 million unit gap that's held more or less at parity for months. Check out the PSP though, with its 29 percent year-over-year drop. Sony's beleaguered handheld game machine dropped 33 percent last month and 42 percent in January 2010. That, taken in hand with the DS's colossal figures and March's overall sales uptick, looks pretty bad, any way you slice it. I mean, look at the PS2. Even it managed to squeak out a 6 percent increase. And the March 2010 video game software sales breakdown. No surprises here, though NPD's Frazier notes that God of War III topped God of War II's launch month sales by 32 percent. It's also the first month on record, if memory serves, in which the PS3 had more top 10 titles than the Xbox 360 (4 versus 2, respectively). That, and Final Fantasy XIII for the PS3 outsold the Xbox 360 version by 68 percent. Combined sales were 1.3 million, pushing FFXIII past God of War III for best franchise launch. 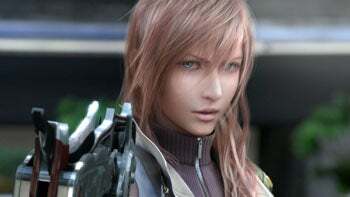 Frazier noted that FFXIII sales were a whopping 48 percent higher than Final Fantasy XII's. Recall FFXII was PS2-exclusive. That should quash any remaining quibbles about the franchise's multiplatform mutation. And while Modern Warfare 2 didn't make the top 10, it's apparently just become the second-bestselling game of all time after Wii Play. Stay tuned for company spin analysis tomorrow morning.